Getting married isn’t cheap and I quickly found that out when it was time to get tie the knot with my husband. If you watch television these days, you see women spending thousands of dollars on their wedding dresses. When I was getting married, I wanted to keep the budget low, which meant I would not have a lot of cash to buy a wedding dress. Not to mention– I didn’t want to spend a ton of money on something that I was only going to wear once. I was excited to see that when I watched Here Comes Honey Boo Boo the other day, there was an episode of where Anna Shannon was getting married. If you don’t watch Here Comes Honey Boo Boo, then you should know that Anna is the older sister. Also, their family is always about saving money. In fact, some of the ways they save money is downright hilarious and quite contagious. Back to my point– she bought a wedding dress for just $212. Clearly she could probably afford a more expensive dress, but she chose to stay within in her budget. Are you dying to know where she found that beautiful dress? She bought it from Light in the Box. If you missed the episode and want to see it, I have embedded the video for you! I can honestly say that you won’t believe how incredible the dress really looks on her. She reminds me of when I was wedding dress shopping and looking for the best deal on wedding dresses and accessories. The wedding episode featuring Anna’s dress from Light In the Box aired on TLC on Thursday, Aug. 14th. $12 off $100 with code HoneyBoo12 OR $24 off $200 with code HoneyBoo24. Did you have a wedding budget? How were you able to keep your wedding budget in check? So happy to hear that there are cheaper options out there for brides. weddings are stressful enough as it is! I love her wedding dress. What a great deal! This is great for those who are looking for an expensive and beautiful wedding dress. I wish I would have been able to wear a pretty white fancy dress down the isle. I’ve never heard about Light In The Box but wow – what awesome prices! And the dresses are so beautiful! I bought two dresses, so I went a bit over budget but, not much! I am a budget shopper! It definitely can be done on a budget if you try. I know my wedding dress was on sale for only $400. Anna looked so pretty in her dress! My friend spent a small fortune on her wedding dress. It caused her so much stress. As Pretty as this dress was, I would never ever spend $1000s on a dress for one day. It’s the bride who shines anyways. I’ve never been one to believe that the dress budget should be a huge chunk off your overall expenses. I mean, what are the chances for you to wear it again?! I like the dress she wore, beautiful. I could not help it. I wanted a certain dress and I went a little crazy with it. It’s hard not to April. Especially in the moment and when I got married we didn’t have options like this. My dress was the biggest expense of my wedding. Even bigger than the food and we feed 300+ people. It’s astounding how much weddings can cost these days! That site is a great way to lessen it! It’s nice to know that you can save money on the dress. Sometimes they are the most expensive things. The dress was the most expensive part of my wedding. It’s nice that sites like this are able to help combat that. I hadn’t heard of Light in the Box until recently. Weddings have become so outrageous in cost that I don’t know anyone but the very rich can afford one. I is good to know that it is still possible. I was also surprised to see that wedding dresses were not the only items sold at Light in the Box. It’s probably hard to believe, but my wedding dress was $9 — it was a gunne sax and I bought at an outlet store (over 25 years ago). Of course, the odds of finding something like that today is probably near impossible, but these deals at this store sound awesome! I think I need to see a picture of that dress Brandie! WOW! We were broker then broke when we got married in 86. My Mom bought my dress (actually both of them). There was no budget, everything was done at my in-laws. That just proves that while it’s nice to look like a princess for a day that’s not what a marriage is based on! It’s nice to save on the dresses and decor and use it for the honeymoon or future life expenses. But it’s nice to know something like this is available for people who don’t have the ability to blow their budget! When I got married, we just went to the courthouse. A big reason for that was because weddings are extremely expensive, especially the dress! If I would have found deals like this, I would have maybe considered a wedding! I spent only $200 on my dress and loved it! So glad that I didn’t spend tons of money on it! My daughter just got married and she spent forever looking for a beautiful dress that didn’t blow her budget. She found one, but I wish we had known about Lightinthebox. I love that their is a site like this so you can have your dream gown without paying tons of $$$ for it! 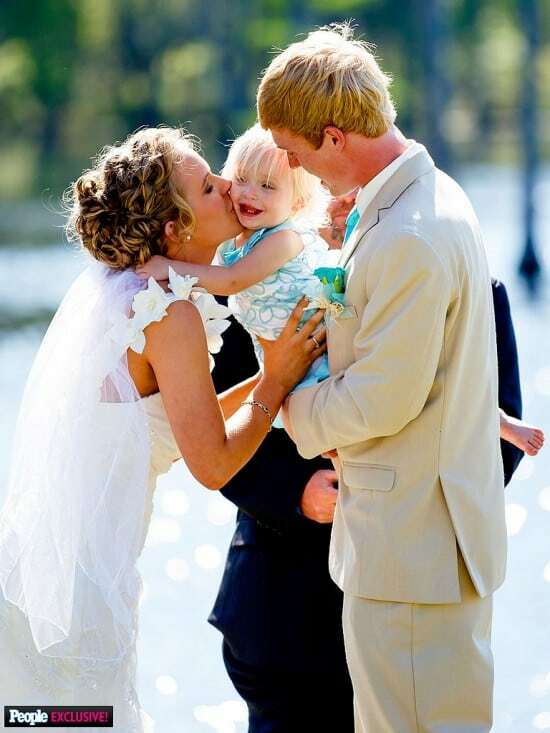 I loved the Honey Boo Boo wedding! Light in the Box is great! It’s nice to see a wedding apparel and accessory company that doesn’t want to stick it to you. I wish Light in the Box had been around when I got married. I had to do a lot of creative thinking to get a great wedding without paying for it for 10 years. Exactly! We were on a tight budget because we didn’t want to invest a years worth of salary. Light in the Box is great. I think brides should always feel beautiful on their special day, but I don’t see why these boutiques need to gouge them. It’s one day. Thanks for bringing sanity to weddings, Light in the Box. Agreed Ben! We are seeing more and more sites offer brides great deals to help bring down the cost of their wedding. It amazes me at how much people will spend on a wedding dress. I wish I would’ve know about this site when I got married, we ixnayed everything including the dress I wanted. We had a budget and stuck to it but if a site like this had been around we could saved so much more money! I loved Anna’s dress as well! It looked so detailed and stunning! It’s a gorgeous dress I would have thought cost thousands. Weddings are so expensive. This looks like an awesome way to save and still look gorgeous. My mom gave us money for our wedding. We used about half of it and gave the rest back (which she wouldn’t take). We were able to do it all ourselves for less…..I even had my dress made by a seamstress! I can;t believe these gorgeous fesses are so affordable! I spent less than $1000 on my dress and people thought my dress was low in cost! Luckily I am a DIY person so I could (and wanted to) do a lot myself. I love the dresses on this site – and especially the accessories and kids clothes are so cute! We did a civil wedding and small family dinner so that saved lots. We still have to do wedding pics though! I got married in 1982 and my whole wedding not counting the honeymoon cost $2500. My dress was $75. My parents didn’t have a lot of money and my husband and I were just starting out in our careers. These are great prices. She looked stunning in her dress. I’m not in the market for one right now but would totally look there if I was. A beautiful dress on a budget is just too good to pass up! It almost makes me want to buy one for these great prices and do a vow renewal ceremony…almost. Light in the Box has such beautiful dresses. I can’t believe the prices! Thank you so much for the great tips and advice. This is so great for people planning a wedding. My mom and grandma made my dress but they may not have had to if I could have found a beautiful this cheap. Every girl dreams of wearing a beautiful wedding gown but I agree that for wearing only one day it’s worth trying to save. Plus the extra money would be awesome for your honeymoon or planning for your future! I wore my mom’s wedding dress when I got married, but if we ever get to renew our vows, I would love to wear a dress from Light in the Box. They look very stylish, but are still affordable. A great combination!! I couldn’t agree more. 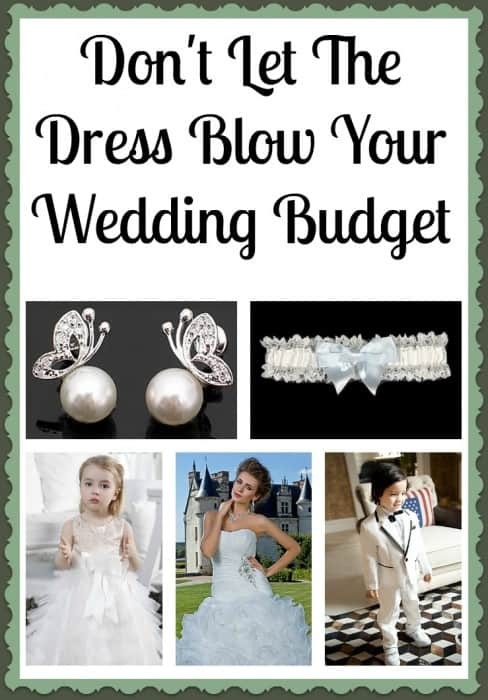 The dress should definitely NOT blow your budget. I only paid $20 for my wedding dress, and it was brand new. That is a brilliant budget for a wedding dress! And her dress is amazing too! I love it! My dress was only $175 but it was on massive clearance. Original price was over $600 and that was on the Cheap end of things. Seriously excited for LIght in the box options! We came in about $3000 under budget thanks to shrinking down the size of our wedding. That’s a huge chunk to be able to take on your honeymoon or invest in your future! I can’t believe Anna Shannon’s dress was so affordable, it is gorgeous! I love Light In The Box and Coupons.com, it’s great I can use both to save! It’s hard to believe something that gorgeous didn’t cost thousands. I absolutely had a budget and getting my dress for just a few hundred dollars was the best thing I ever did! I love that wedding dress! SO beautiful! I’m getting married in a few months and I still have not found the “perfect” dress! I handmade most of my decorations and such it really helped to lower the cost of stuff! My sister got married last October and spent a small fortune on her dress – then she literally threw it away because she couldn’t be bothered boxing it up or even listing it for sale on Craigslist.